Mark Your Calendar For Another Spectacular Pottstown ArtsWalk – A Free Event – Saturday, May 6, 2017! Pottstown, PA —“We have always recognized and embraced what the arts and collaboration can do for a community”, said Erika Hornburg-Cooper, ArtFusion19464. Join us for a day of discovery on Saturday, May 6, 2017 from 12 pm to 9 pm. Arts and culture organizations, local businesses and restaurants are teaming up to bring you an amazing day of fun, food and entertainment. “The Pottstown Downtown Improvement District Authority (PDIDA) is excited to be a part in this venture. It has been very exciting to see our downtown community pull together with our arts and cultural organizations to create this amazing event,” states Sheila Dugan, PDIDA. Viewing the art in a kind of “pub crawl” format adds to the fun and energetic quality of this event. Family-friendly activities are being planned. Nearly 20 downtown business will be open to showcase original artwork displays and live musical entertainment. While this event is free, we ask that you pre-register for your free ticket. Each is valid for one person to join the Pottstown ArtsWalk on Saturday, May 6, 2017, and you can order as many as you need. Visit http://www.artfusion19464.org/artwalk. ArtFusion 19464, 254 E. High St.
Ballroom on High, 310 E. High St.
Beverly’s Pastry Shop, 322 E. High St. Connections on High, 238 E. High St.
Grumpy’s Handcarved Sandwiches, 137 E. High St.
High Street Music, 135 E. High St.
iCreate Cafe, 130 King St.
Juan Carlos Fine Mexican Cuisine, 235 E. High St.
Lily’s Grill, 115 E. High St.
MCCC North Hall Gallery, 16 E. High St.
Memory Madness Photo Studio, 16 N. York St.
MOSIAC Community Land Trust, 10 S. Hanover St.
Potts & Penn Family Diner, 80 E. High St.
Smith Family Plaza, 100 E. High St.
Steel River Playhouse, 245 E. High St. 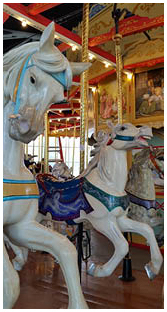 The Carousel at Pottstown, 30 W. King St. The Hill School Center for the Performing Arts, 780 Beech St.
Weitzenkorn’s, 145 E. High St.
To get the latest update on locations and activities, visit http://www.artfusion19464.org/artwalk and don’t forget to pre-register for Pottstown ArtsWalk! ArtFusion19464, Steel River Playhouse, @107, Proudly Pottstown and Advantage Insurance Group. PLAYHOUSE ACCEPTING ENROLLMENT FOR SPRING CLASSES, PRODUCTION WORKSHOPS, HOME SCHOOL DRAMA WORKSHOP AND SUMMER CAMP! Pottstown, PA — Steel River Playhouse, at 245 E. High Street in Pottstown, PA is now accepting enrollment for the Spring term and summer program, which includes private study in guitar, piano, voice, trumpet and acting, along with group classes in acting, performance, improvisation and much more. Steel River’s spring term began on Monday, March 28. Classes are available in Acting, Improvisation, Broadway Cabaret, and the popular Flights of Fancy and Imagination Theater programs for young actors to create and perform original works and perform for an audience. A home school drama club original production workshop is also accepting enrollment. Students may also enroll NOW for workshop productions beginning in mid-March including productions of THE TEMPEST (classical workshop for dramatic actors), A CHARM SCHOOL WITCH (musical workshop for young performers), BANG BANG, YOU’RE DEAD (a contemporary drama workshop) and Broadway Cabaret workshop (Summer Lovin’ Cabaret). For more information on these productions, email the education department at education@steelriver.org. Summer camp enrollment has also begun, and students may register for three different two week camps. Camp one offers a Variety Show theme, and runs from July 11 to July 22. Camp two runs from July 25 to August 8, and offers students the opportunity to work an original musical theme of global awareness, which explores a variety of cultures from around the world. Camp three offers students to create original one act plays, from August 8 to 19. Camps run from 9 a.m. to 4 p.m. daily (with option for half day camp for younger students). Each camp culminates in an original work that is performed for parents, and includes workshops in specialty skills that will be used in that performance, such as juggling, Broadway dance styles and more, while also incorporating lessons in confidence, cultural awareness and collaboration. Steel River Playhouse employs educators who are regionally and nationally renowned in their fields with many holding advanced degrees. The facility is also renowned as one of the highest rated theatrical venues in PA, featuring state of the art performance spaces, studios, classroom space, sound reinforcement equipment and seating, full set, costume and prop shops as well as the best green room of any theater in the area. Steel River’s goal is to provide the highest possible educational experience for students and participants in the tri-county area, focused on every level of training from beginner to expert! 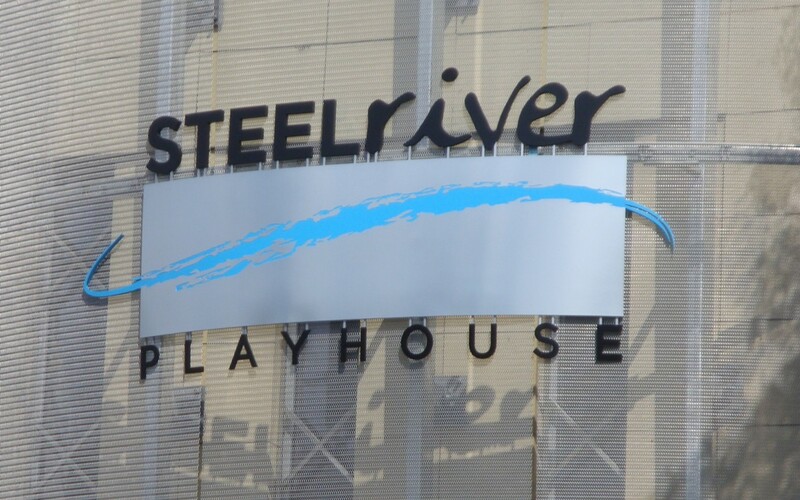 About Steel River Playhouse – Steel River Playhouse is a nonprofit 501(c)(3) charitable education and performance facility that seeks to strengthen community, inspire creative exploration, educate, and entertain, through the presentation of quality performing arts events and education for diverse audiences. Designated as a “gateway” performing arts center, Steel River provides affordable, high quality performances, comprehensive educational offerings, and enriching volunteer opportunities in all aspects of theatre arts. Students and volunteers of all ages and backgrounds are encouraged to explore and grow their skills by working side-by-side with professional instructors, performers, directors, and designers. tickets to the Steel River Playhouse Gala are available at steelriver-playhouse.org. Pottstown FARM and the Pottstown Latin Festival are free and open to the public. These performances mark the end of a highly productive summer for Ferrara, who has been performing and teaching in and around Pottstown since the opening of Steel River playhouse in 2008. 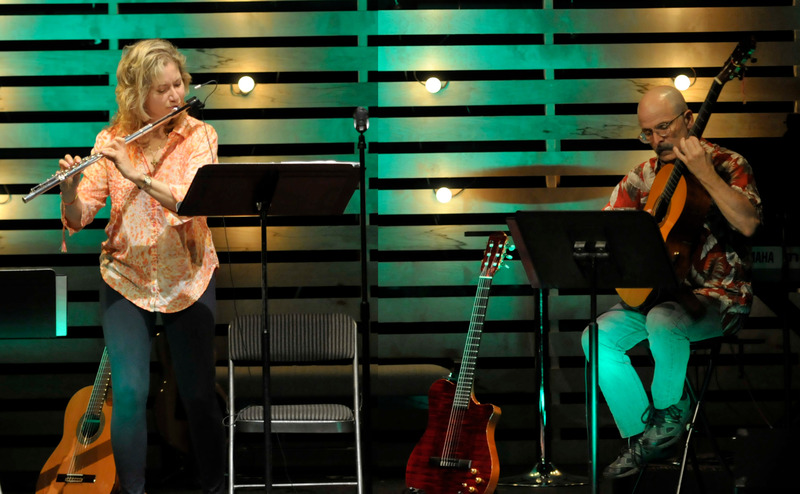 He began the summer with a 10 day trip to Georgia to perform, teach and direct guitar ensembles with his flute playing partner Kim Robson. Upon returning from Georgia he taught ukulele classes and workshops at Pottstown Middle School and Steel River Playhouse, made his first appearance at Pottstown FARM and went immediately into rehearsals for the Wings of Hope benefit concert at the Colonial Theater in Phoenixville. From there he and Robson began sessions for their completed but as yet unreleased album. He took time away from the studio only to do a run in the pit band of “Smokey Joe’s Cafe” at the SALT theater in Yellow Springs. Ferrara begins this month presenting the class “Ukulele Fun” at Steel River Playhouse. Designed to provide an introduction to playing string instruments, “Ukulele Fun” uses music familiar to everyone to build solid playing skills. The format of the class is ensemble based with everyone playing together in a fast-paced fun environment. Ferrara brings his years of experience performing and directing guitar ensembles to the design and format of the class. Further information can be found at steelriver-playhouse.org. Please call 610.850.0181 ext. 0 to RSVP. Laugh. Cry. Sing. Dance. Think. And be prepared for the unexpected! From the holiday classic White Christmas, to our American Classics offering The Glass Menagerie, to the beloved musical Fiddler On The Roof, to the sharp satire of The Colored Museum, there’s something for every theatergoer to love in our 2015-2016 season! For tickets, click “Online Tickets” or contact 610.970.1199 or http://www.steelriver.org/current-season/out-2015-2016-season/. For subscriptions or group sales of 10 or more, including personal or business events and receptions, contact http://www.steelriver.org/current-season/subscription-plans/. Steel River Playhouse cordially invites you to our 2015 Annual Gala! Sounds wonderful, doesn’t it? Steel River Playhouse invites you to join us for our first ever formal Gala to kick-off our 2015-2016 season with “An Evening In Paris.” Come with us and enjoy a night of amazing food, great people and a sneak peek at some of the entertainment this upcoming season. For more information, CLICK HERE. See how the arts can enrich your child’s world, through skill building, performing and working creatively and collaboratively with others. *Choice of AM or full-day activities for elementary school students. *… and a Steel River Summer Camp t-shirt included with camp tuition! 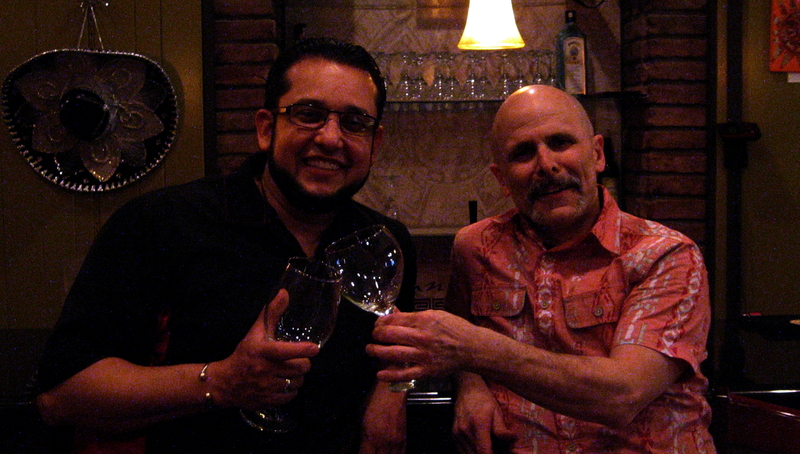 In the fall of 2008 Ron Garza, chef-proprietor of Juan Carlos Fine Mexican Cuisine on High Street in Pottstown, was scouting locations to realize his dream of opening a fine dining restaurant. 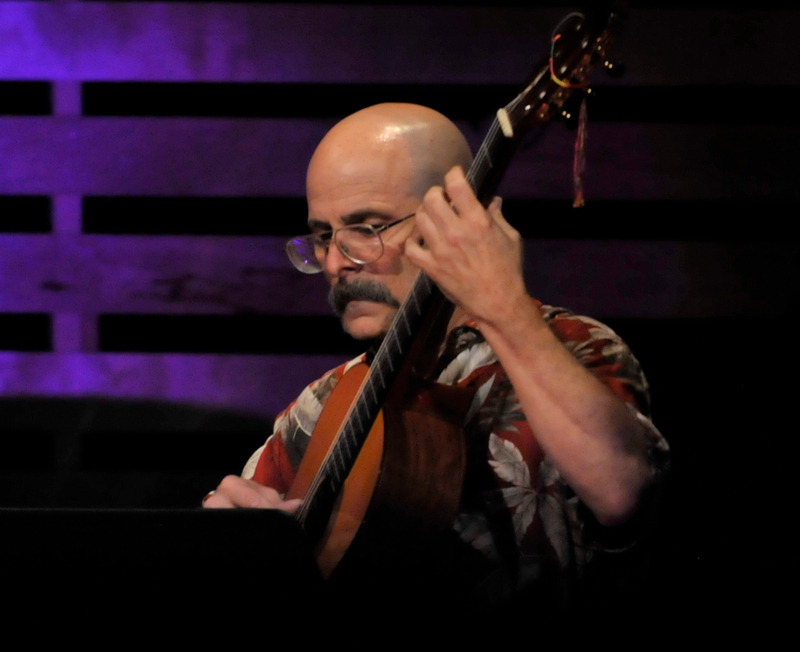 Classical guitarist Russell Ferrara was, at that time, in the eighth year of disability from his lifelong music career. He was taking baby steps, post spinal surgery, to reactivate his performance activities. He had just accepted an invitation join the music faculty of the soon to be opened Steel River Playhouse. In early 2009 Ferrara began to notice construction activity at the northwest corner of High and Penn Streets just three doors down from Steel River Playhouse. Spring brought signage which indicated that the storefront was becoming a Mexican restaurant. When work was nearly complete he walked in unannounced and began playing amidst the construction. Garza hired him on the spot and the two have remained close since. Ferrara returned to Juan Carlos on Friday nights a few weeks ago after an eight-month absence during which he was on the road with his group Lackawanna Sky featuring Native American Flute player David Rose. Lackawanna Sky broke out at the April 2014 Launch Festival in Lancaster, PA where they were signed by Spirit Wind Records. They subsequently toured in Georgia and Wisconsin, returning to PA to perform at the Kipona and Spirit of Oneness festivals in Harrisburg and in a continuing series of weekend performances in the Central Market of Lancaster. They are finishing up their first album and will return to Georgia in June. Surprisingly, Ferrara credits much of this success to his tenure at Juan Carlos. Juan Carlos, 235 E High St. Pottstown is open 5:00 PM to 9:00 PM Tuesday through Saturday. Catering is available anytime in the Wine Cellar. Ferrara holds forth every Friday night. Every now and then there are those weekends that are jam-packed with activities. This warm and sunny weekend was just such a time. If you live in the TriCounty Area here’s what went on. On February 14, 2015, Jeffrey Sweet, the author of “Court Martial at Fort Devens”, will be appearing at Steel River Playhouse in his one-man show, “You Only Shoot The Ones You Love”, a 75-minute yarn about how the Cossacks almost killed his grandmother and what that has to do with a generation of Jews bringing teeth and cojones (look it up) to American comedy. In response to Joe McCarthy, Nixon and HUAC, wits like Nichols and May, Alan Arkin, Shelley Berman, and Jules Feiffer (and Lenny Bruce, Mort Sahl, Neil Simon and Mel Brooks) invent modern American satire. For more information, click here. POTTSTOWN — “Tourism” might not be the first thing that comes to mind when you say “Pottstown,” but as far as Bill Fitzgerald is concerned, that won’t be true for long. Fitzgerald is the president of the newly reconstituted Valley Forge Tourism and Convention Board and he was in town last week to talk to Pottstown Borough Council about how his organization can help promote what Pottstown has to offer. Tourism is on the upswing in Montgomery County, Fitzgerald said, and Pottstown is well-positioned to benefit from that trend, Fitzgerald said. Laugh. Cry. Sing. Dance. Think. And be prepared for the unexpected! From the family classic The Sound of Music, to the gritty drama Court Martial at Fort Devens, to the joyous Shout!, to the whimsy of The 25th Annual Putnam County Spelling Bee, there’s something for every theatergoer to love in our 2014-2015 season! For tickets, click “Online Tickets” or contact 610.970.1199 or boxoffice@steelriver.org. For subscriptions or group sales of 10 or more, including personal or business events and receptions, contact subscriber@steelriver.org. 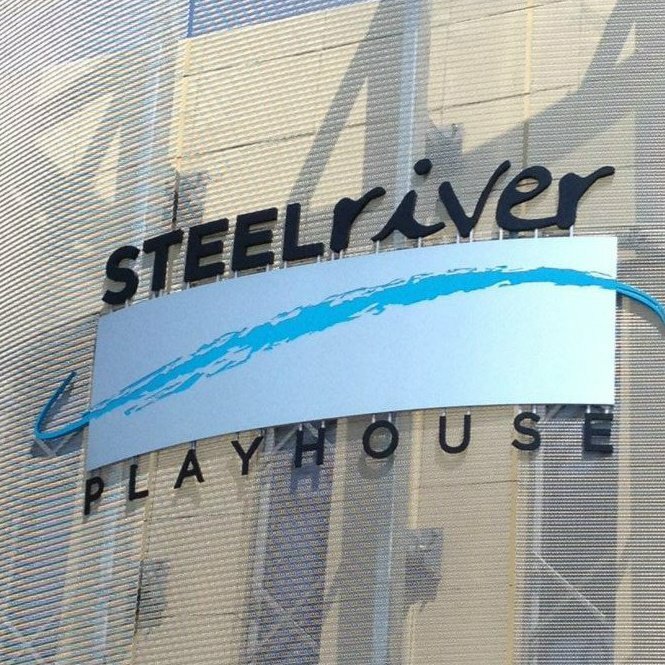 POTTSTOWN, PA — Marta Kiesling, the dynamic executive director of Steel River Playhouse who grew a small acting group that performed in her living room into the region’s premiere venue for live theater, has parted ways with the institution she helped found. A Monday evening e-mail from the board of directors to community leaders announced that Kiesling’s resignation had been accepted, effective May 1. “We’re saddened to lose such a visionary person who built the playhouse to the strong cultural and educational institution it is today,” the release said. What started as Village Productions was grown by Kiesling into the TriCounty Performing Arts Center, which with the help of grants from Montgomery County and a variety of other sources, established a theater in the former J.J. Newberry Department store at 245 E. High St. in 2008. The Beech Street Factory is a $12.5-million, 30-year investment in Pottstown’s future. With this project, Genesis Housing Corporation and Housing Visions propose not only to rehabilitate a vacant, prominent building in the Borough’s National Register Historic District, but also to spark renewed focus on the arts in Pottstown. Pottstown has seen a cultural resurgence in recent years. Decades of hard work by organizations such as ArtFusion, Steel River Playhouse, the Pottstown Area Artists’ Guild, Montgomery County Community College, The Hill School Farnsworth Art Museum, and other arts-oriented organizations have highlighted the importance of cultivating visual, performing, and ﬁne arts in Pottstown. More recently, the formation of CreativeMontCo has solidiﬁed county-wide interest in the arts. And ongoing investment by Genesis Housing Corporation, Mosaic Community Land Trust, the National Trust Main Street Program, and the Borough of Pottstown have helped to strengthen the overall quality of life in in the Borough by enhancing the public streetscape and laying the groundwork for further investment. The Beech Street Factory proposes to capitalize on these long-standing efforts and help take them to the next level. Through their development expertise and knowledge of funding programs, Housing Visions and Genesis are planning to convert the old Fecera’s furniture warehouse into a 60,000-square-foot, mixed-use arts center. The ground floor will include 3,000 square feet of energy-efficient, financially sustainable space for ArtFusion, Pottstown’s long-running and much-loved non-profit community arts center.. And the remainder of the building will provide 43 loft, industrial-style apartments to artists and other interested residents. With 14 unique floor plans, exposed brick walls, plenty of natural light, and amenities including a landscaped courtyard, community room, resident computer lab, elevator, and off-street parking, the Beech Street Factory will provide inspiring spaces for Pottstown’s creative community to call home. The combination of commercial and residential space will ensure a “24-hour” community at the Beech Street Factory, where the busy hum of ArtFusion students during the day gives way to quiet creativity among individual residents at night. The Beech Street Factory will seek to engage with the larger Pottstown community by hosting gallery events at ArtFusion and in the building’s resident community room and open front porch. Residents will be encouraged through Housing Visions scholarships to take classes at ArtFusion, and similarly, members of ArtFusion may wish to apply for residency at the Factory. Additionally, Housing Visions plans to market the residential units to qualified tenants throughout the region by advertising in local arts publications, print and social media, and at local arts events. The Beech Street Factory provides the catalyst for a renewed conversation about creating a formal Pottstown Arts District. The developers plan to participate on a new Arts Task Force, supporting the Mosaic Community Land Trust in their effort to create an Artist Relocation Program around homeownership in the Beech Street Neighborhood. Through Housing Tax Credit funding, Housing Visions commits its expertise and resources to help improve the quality of life in Pottstown over the next 30 years. By sharing their extensive experience in creative ﬁnancing and redevelopment of historic properties, Housing Visions and Genesis hope to foster a renewed, stronger emphasis on neighborhood revitalization and quality of life in Pottstown. We feel this project could be the “game changing” catalyst that will finally propel Pottstown’s Arts Revitalization movement forward. Successful completion of a major project in Pottstown would send the signal to funding agencies, investors and developers that Pottstown is now working together toward a common goal. We urge Pottstown Borough Council to get on board with this project. The biggest thing holding Pottstown back has been the inability of all parties to find common ground and work together. Now that Housing Visions has gotten on board with Pottstown’s desire to be something more than another dumping ground for Montgomery County’s social service ills, and made significant changes to this project, we feel this version is now worthy of our support as well. We feel the last paragraph regarding the creation of an “arts district” and an artist relocation program is a key component of this project. We have posted about Oil City‘s artist relocation program and how it has helped transform this much smaller and more remote community in Venango County. 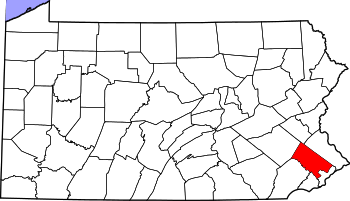 Pottstown’s excellent location and easy access to Philadelphia, the Lehigh Valley, Reading and Lancaster only improve the chances for success. We think you will see support continue to build from other stakeholders in the Tri-County area. A revitalized Pottstown benefits EVERYBODY in the 19464,19465 zip codes, and beyond. Actor, director, producer, playwright, teacher — Steel River Playhouse’s new artist director Gene Terruso is comfortable in all those roles. But that was not always the case. Unlike so many theater people, despite his mother’s unflagging encouragement, he was not dying to get on stage. In fact he studiously avoided it until high school. Terruso grew up in a West Philadelphia neighborhood and back then, it wasn’t cool to be a theater geek. Trying out for shows, “was not a manly thing to do,” he said with a bemused smile. POTTSTOWN, PA — Your opportunity to help shape the future begins at 7 p.m. Monday at the Steel River Playhouse. That is when and where a contingent from the Montgomery County Planning Commission will be on hand to get input from you, the public, as preparations are made to write a new comprehensive plan. Assembled every dozen or so years, the county comprehensive plan guides development and policy decisions on elements of day-to-day life that range from transportation to recreation; from the economic development to the preservation of natural resources; from housing to health. The open meeting at the playhouse is the first of four to be held throughout the county “to find out what people want,” said Brian O’Leary, section chief of county planning for Montgomery County. Recommended for all audiences. Please note – children under 4 will not be admitted to the theater. FUN FOR THE WHOLE FAMILY! The hilarious and irrepressibly charming story of everyone’s favorite ogre. In a faraway kingdom turned upside down, things get ugly when an unseemly ogre – not a handsome prince – shows up to rescue a feisty princess. Add a donkey who won’t stop talking, a vertically challenged bad guy with a “short” temper, a cookie with an attitude, and over a dozen other fairy tale misfits, and you’ve got the kind of mess that calls for a real hero. Luckily, there’s one on hand – Shrek!